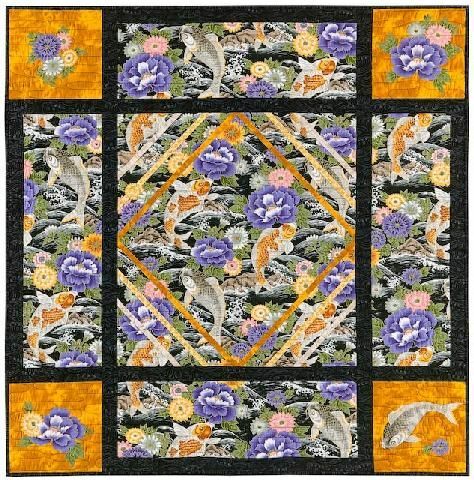 This quilt is a great project for those large scale prints. Three accent strips are sewn into the center block. The key to this project is the cutting and pressing. A one day workshop/class where accuracy is stressed.